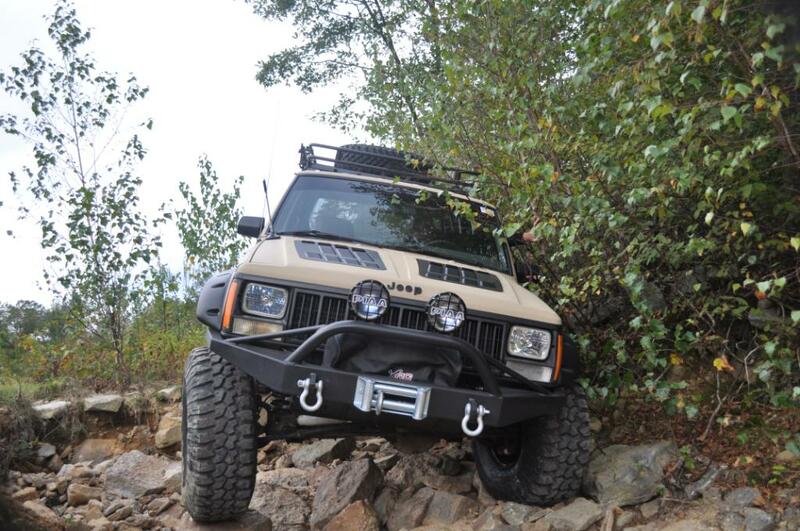 Our Jeep Cherokee hood louvers for your Cherokee XJ are custom in appearance. The XJ hood louvers are aluminum and are fully functional. The XJ hood louver panels feature our heat venting louvers that are located above the most crucial areas of your engine bay. Not only will you keep your XJ engine running 10-20 degrees cooler both on and off road but our Stainless Steel Flush head threaded studs are already pressed into the louver panel for a finished look that is smooth and is a great way to cover any cosmetic flaws on your hood. You'll enjoy the precision laser cut steel template during your flawless installation. No need to work with unreliable, flimsy paper templates. 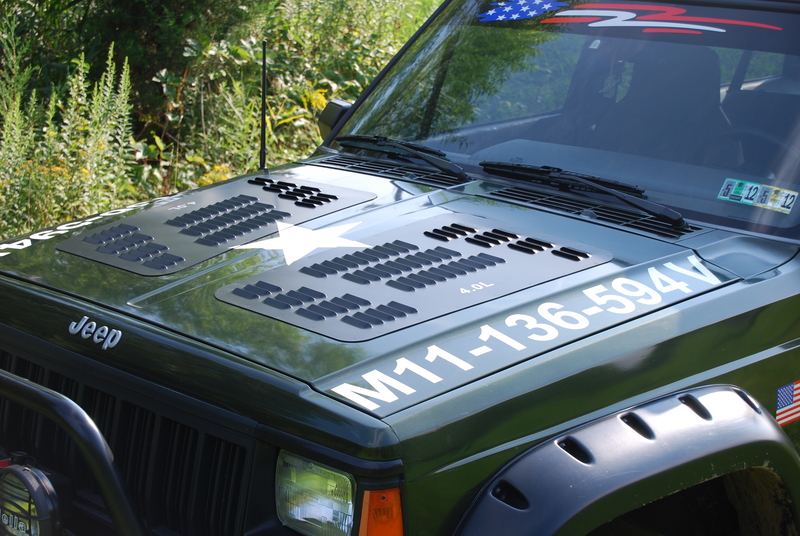 We've included everything you need to get a professional installation with our XJ Hood Louver panel kit. We also have a universal hood louver panel. This Jeep Cherokee hood louver is available in either unpainted 5052 Aluminum to finish as you desire or with a black semi gloss highly durable powder coat finish. Get your new Jeep Cherokee Hood Louver panel today. All Hyline Offroad parts are made in the USA. Ratchet, 13mm and 3/8'' Socket, Torx, Drill, 1/16'', 13/64'' & 1/4'' Bits, 1'' Hole Saw, Jig Saw or Cut Off Wheel, File or Sandpaper, Clear Spray Paint, Flat Screw Driver & Safety Glasses. Left & Right Side Hood Louver Panels, Single Piece Steel Template, (50) Nylon Lock Nuts & (2) 10-32 Pan Head Screws.